Travertine is a sedimentary rock. Travertine is a natural chemical precipitate of carbonate minerals; typically aragonite, but often recrystallized to or primarily calcite; which is deposited from the water of mineral springs (especially hot springs) or streams saturated with calcium carbonate. 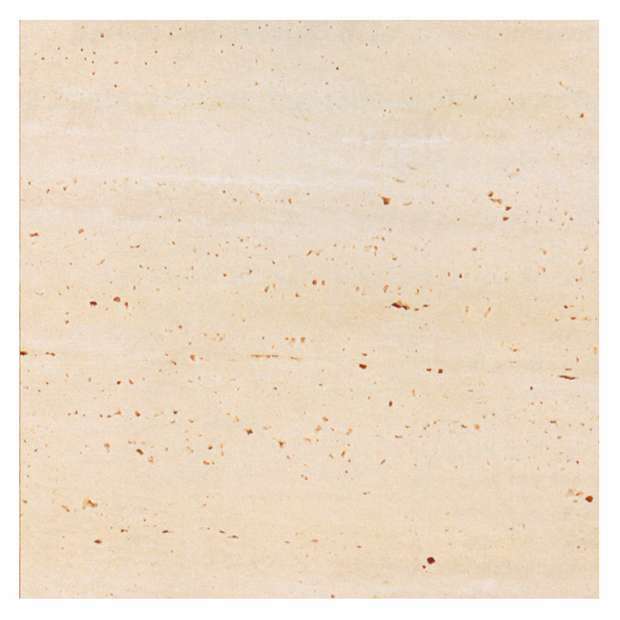 When pure, travertine is white, but often is brown to yellow due to impurities. When carbon dioxide-rich water percolates through rocks in limestone areas, the water dissolves the limestone and becomes saturated with it. When the water resurfaces later, the sudden drop in pressure and the change in temperature cause the water to release the carbon dioxide gas, much like fizzy drinks. The calcium carbonate then recrystallizes, often over minute underwater plants. The resulting rock is typically quite porous with numerous cavities. When exceptionally porous it is known as calcarious tuff. Travertine is one of several natural stones that are used for paving patios and garden paths. It is sometimes known as travertine limestone, sometimes as travertine marble; these are the same stone, even though it is neither limestone nor marble. The stone is characterized by pitted holes and troughs in its surface. Although these troughs occur naturally, they suggest to some eyes that considerable wear and tear has occurred over many years. Some installers use a grout to fill these holes, whereas others leave them open — travertine can even be purchased “filled” or “unfilled.” It can be effectively polished to a smooth, shiny finish and comes in a variety of colors from gray to coral-red. 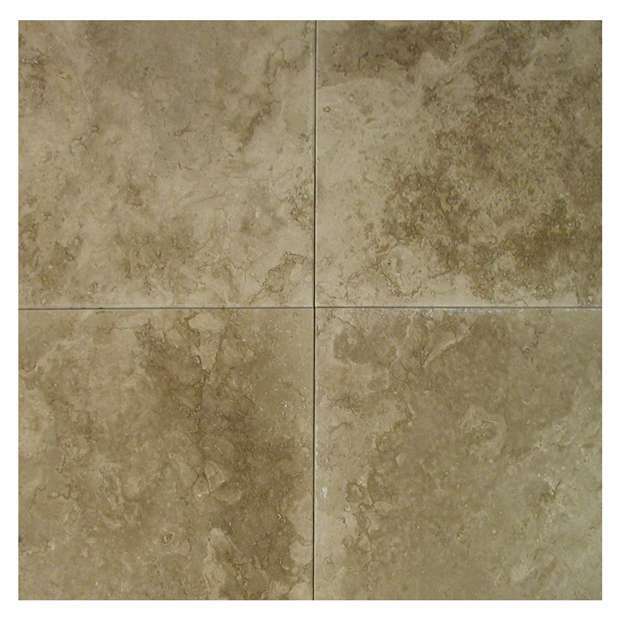 Travertine is most commonly available in tile sizes for floor installations. 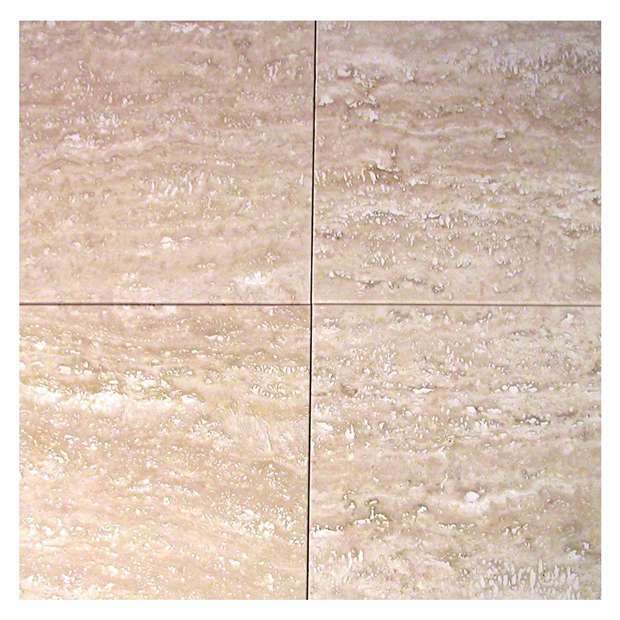 Travertine is one of the most frequently used stones in modern architecture, and is commonly seen as facade material, wall cladding, and flooring.